Louise Avery is one of London’s best-connected kombucha producers and the owner of LA Brewery. Here she reveals her tried-and-tested recipes that use the freshest produce to create truly delicious fermented teas. 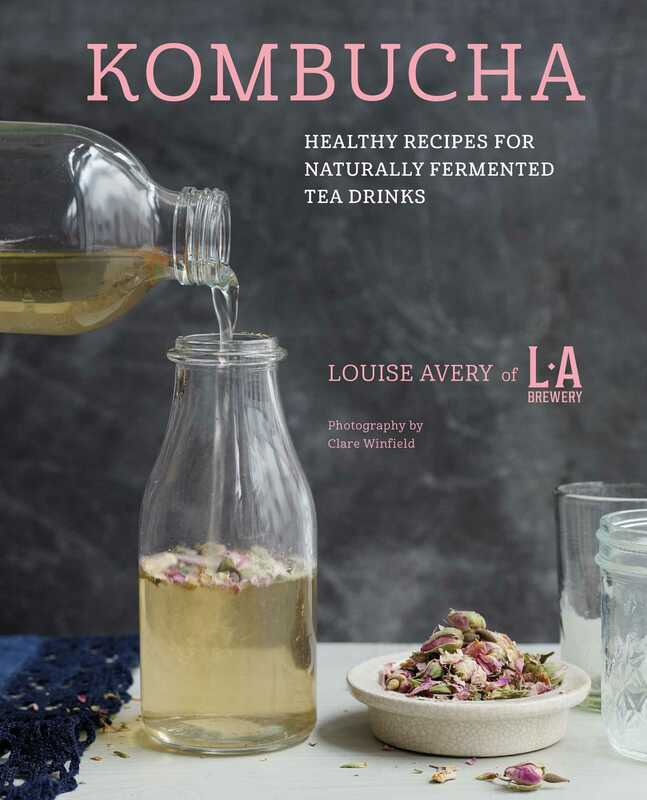 Starting with an explanation of exactly what kombucha is, Louise then offers information on the types of tea you can use to flavor your kombucha, the health benefits of drinking it, and the essential equipment you will need to brew your own. Next, she presents a step-by-step process for brewing kombucha, bottling and storing, and controlling the yeast. Recipes are then organized by type of base: Fruit, with recipes for Blood Orangeade, Pear and Ginger Tea; Vegetable, including Striped Candy Beets and Lime, and a Virgin Mary. Flower has ideas for Hibiscus Kombucha and a Hoppy Pale Ale, while Herb, Spice, and Tea is where things heat up with Lemongrass Tea and two Turmeric Immune Boosters as well as Jasmine Kombucha and a Lychee Basil Mojito.